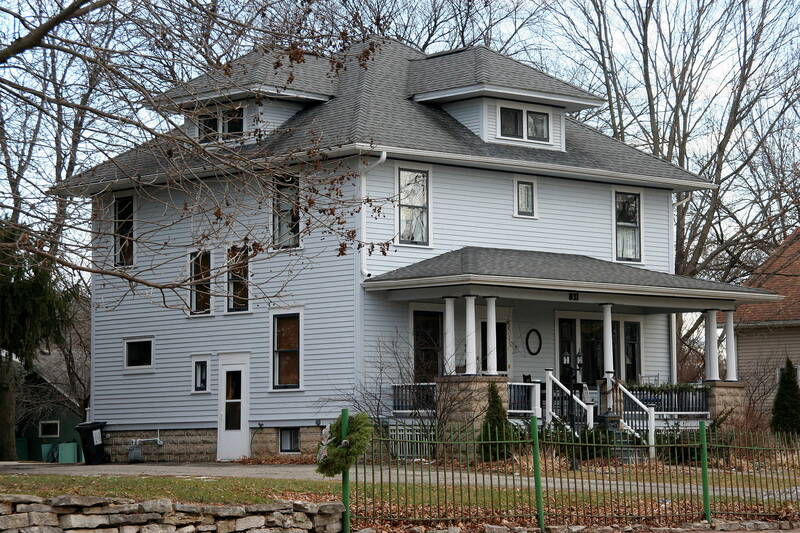 Last year my interest in the American Foursquare style of home hit home as our family nearly purchased one. It’s a gorgeous home and we liked the style inside and out. 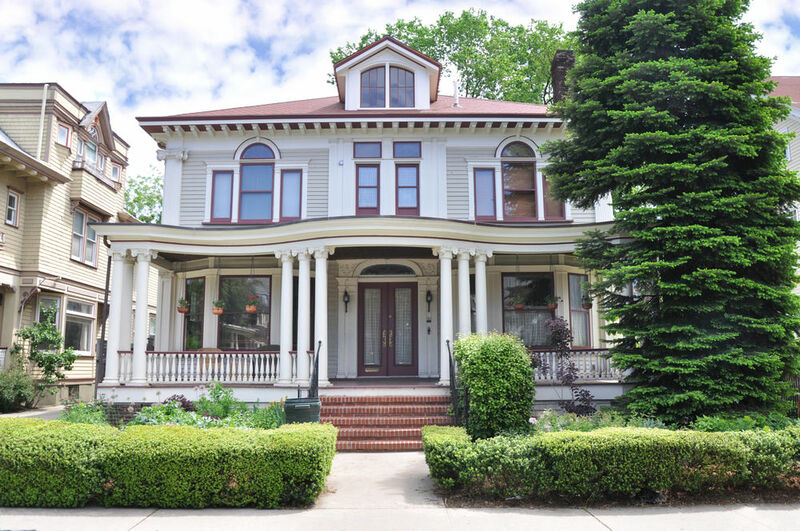 It turned out we didn’t end up buying the house (opting to most likely build, which is a story for a later day), but during the process of visiting the house and seriously considering it, we learned quite a bit and gained an appreciation for the American Foursquare style of home. 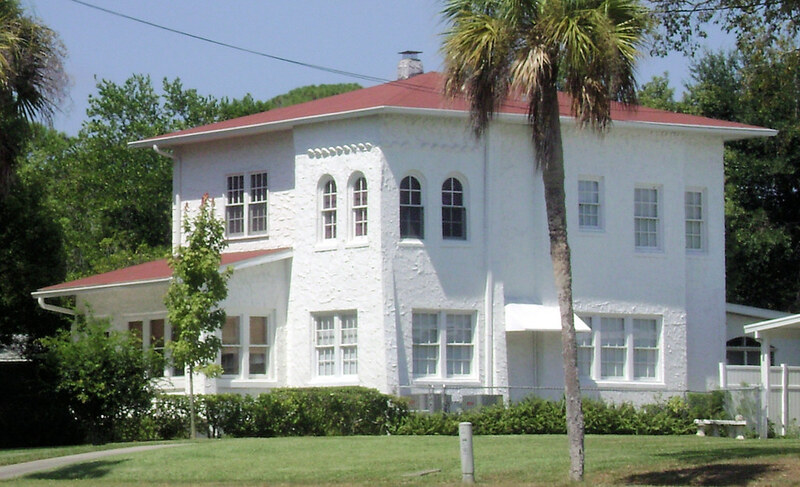 We learned it was a popular style of home in the United States from 1895 to the mid 1930’s. During that time various foursquare styles emerged. It started as a very plain style of home which was in response to the incredibly ornate Victorian homes that were common. However, over the decades that foursquare houses were built, some incorporated ornate features such as columns and more ornate facades. 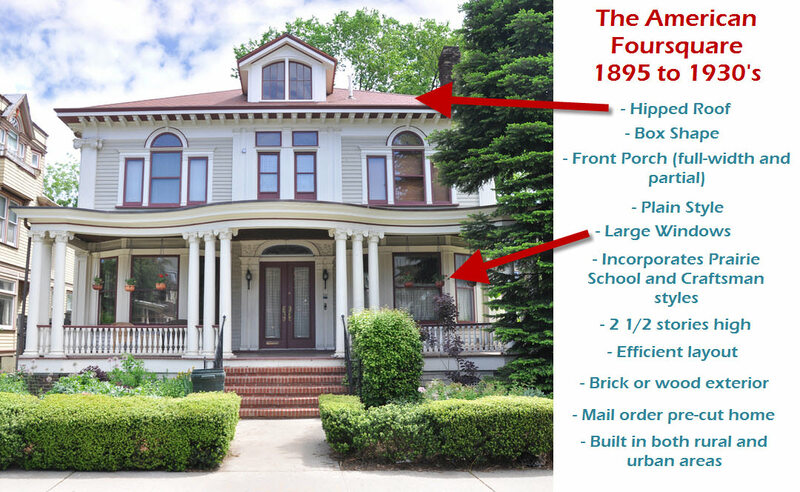 That said, compared to other home styles of the era, the foursquare remained a more plain style of home. 1. 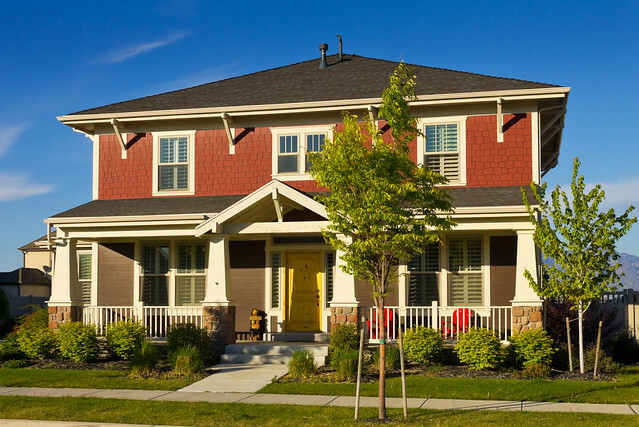 Hipped Roof: A hipped roof is one that angles inward on all 4 sides. 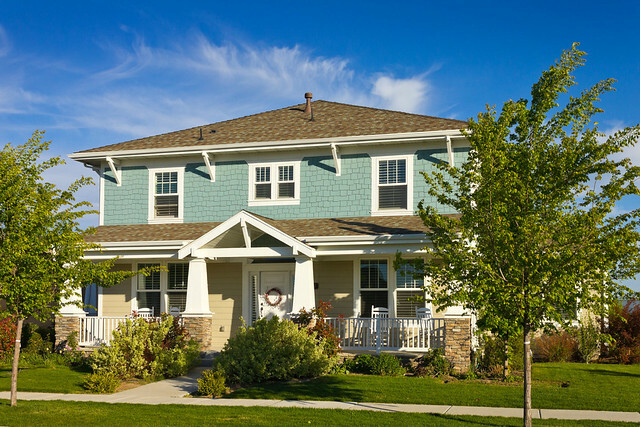 We explain the 15 common styles of roofs here including the hipped roof here. 2. Box shape: The name gives this away. It’s a foursquare which means it’s a four-sided home in square shape resulting in a boxy design. 3. 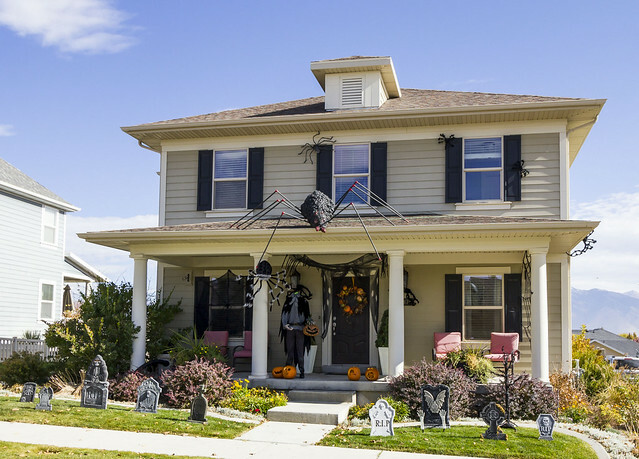 Front porch: Generally, foursquare houses have a front porch spanning the full-width of the front of the house. 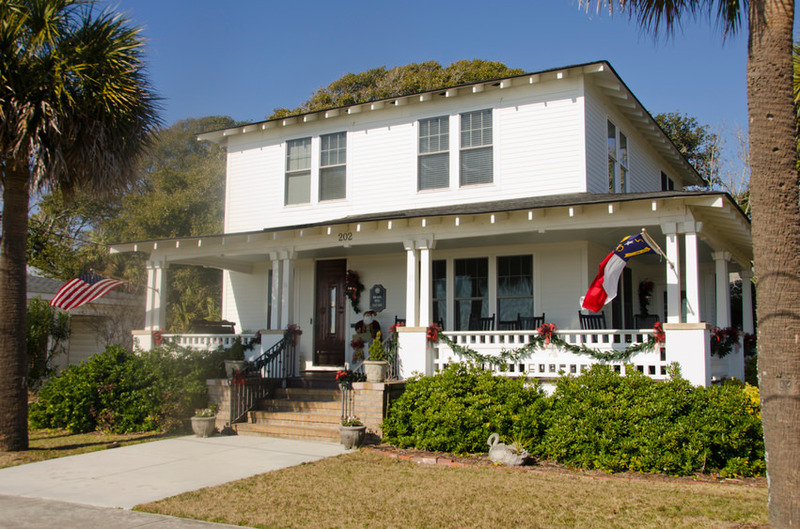 However, some were built with partial porches and some have porches that wrap around to the side. 4. 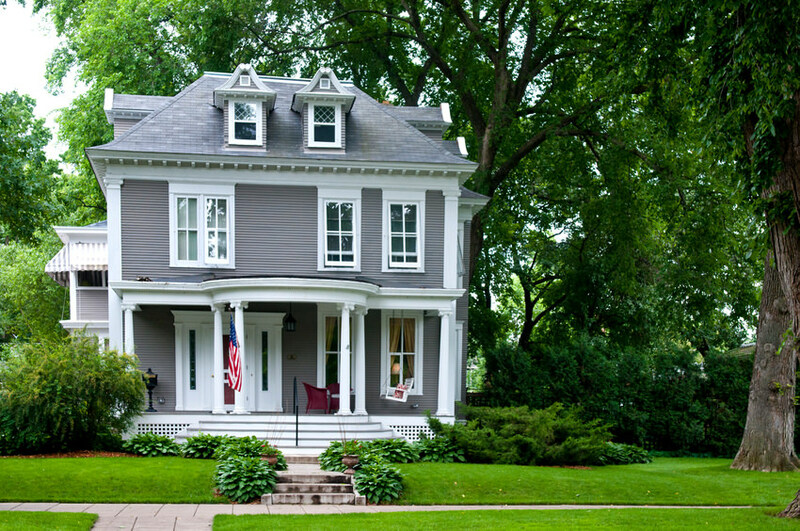 Plain design: A hallmark feature of the American Foursquare is plain design. 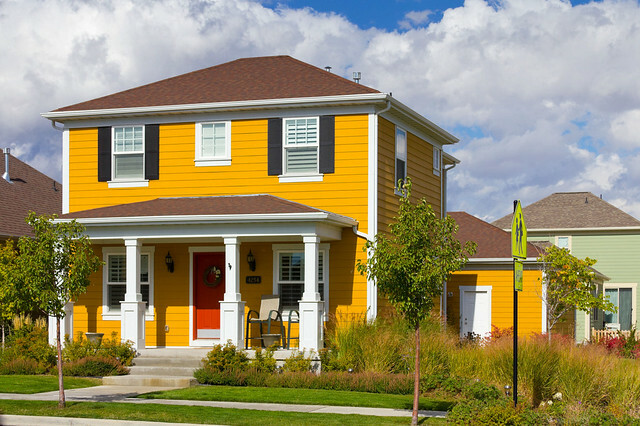 Some include Craftsman elements while others incorporate Prairie Architecture elements. 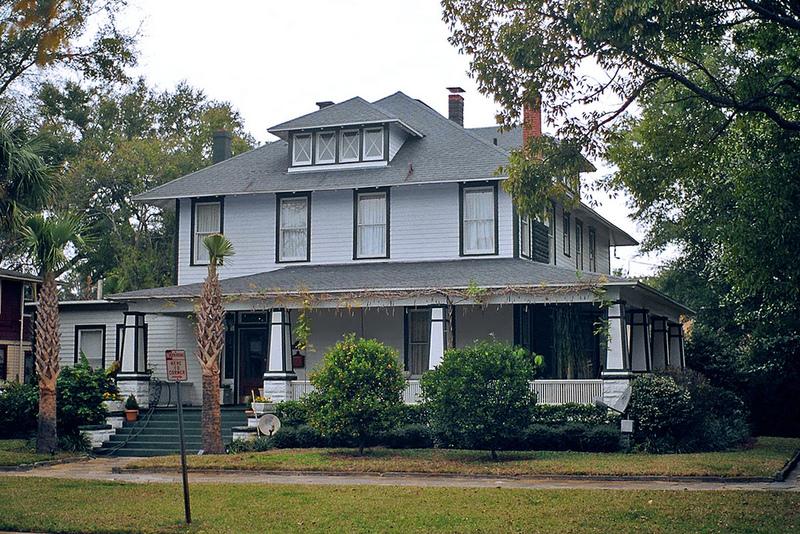 Overall, compared to most other home styles of the era, the Foursquare was a plain home. 5. 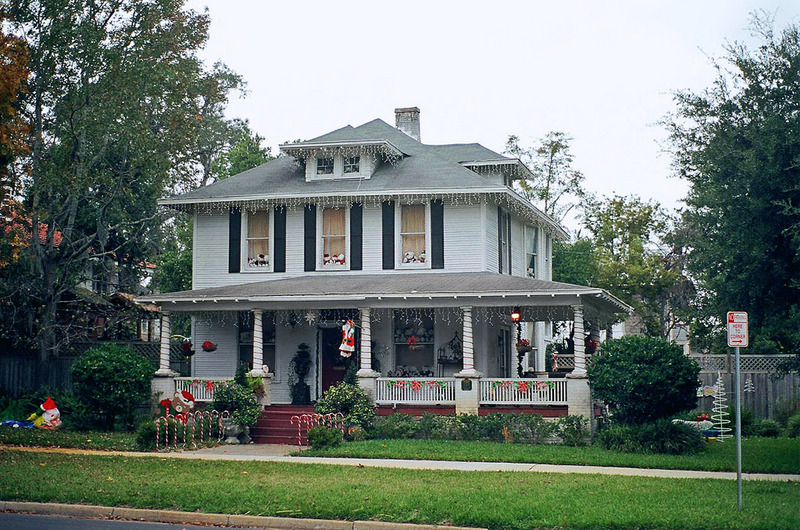 Large windows: You’ll notice in our photo gallery of American Foursquare homes below that most have large windows, especially on the first floor flanking the front door. 6. 2 1/2 stories in height: Most are 2.5 stories in height. The upper floor is usually one large open space, which is a cool design element because it functions much like a large bonus room. 7. Efficient layout: Because it’s a square with only 4 sides, the floor plans are efficiently laid out and rooms are often large. There isn’t wasted space with nooks and cranny style of rooms you can find in Victorian era homes. 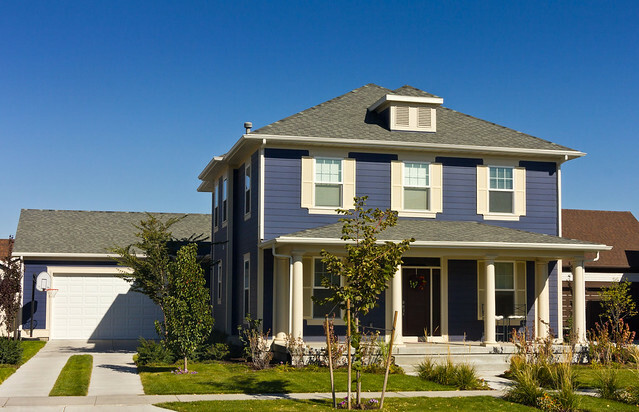 Foursquare homes include only the basic rooms – living room, dining room, kitchen, bathroom(s), large bedrooms and a large open space on the uppermost floor. 8. Large bedrooms: One thing we liked about this style of home was the large bedrooms which are on the second floor. 9. Extensive use of wood inside: While many foursquare houses have been renovated extensively, you can still find refurbished homes that retain much or all of the original wood. The home we looked at retained much of the original woodwork and it was stunning. 10. Large foyers: Another wonderful feature of the American Foursquare home is they often have a large square or rectangle foyer from which the stairs lead upstairs. The large foyer is wonderful welcome zone and is spacious enough for storing coats, shoes and adding some furniture. While some may argue large foyers are a waste of space, I believe they’re well worth the space because it’s nice to have space when entering a home. 11. 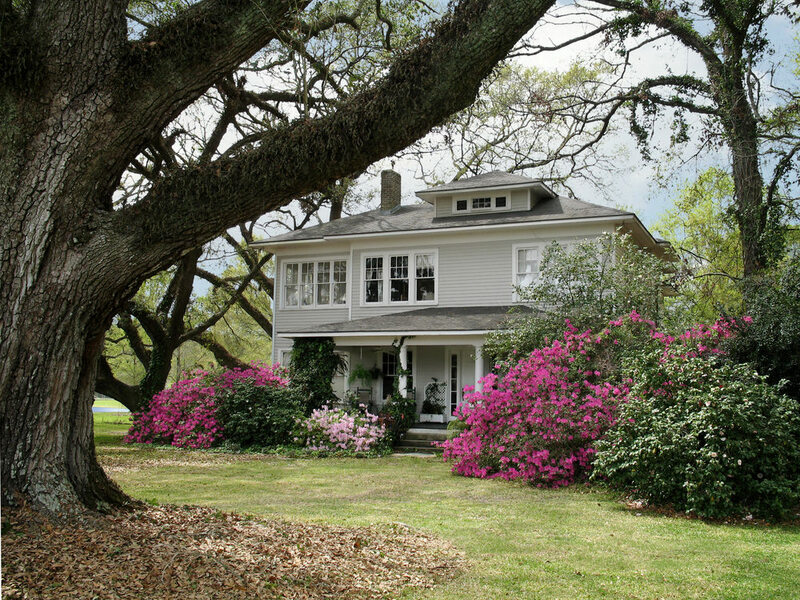 Exterior: Foursquare exteriors typically use wood or brick. In my experience, and I believe the photo gallery below will support this, most have a wood exterior. Some refurbished foursquare homes have a shingle exterior (wood). 12. Mail-order homes: Foursquares homes were a popular model of home that were sold as pre-cut kits. The simple design made it an ideal style of home for delivery. 13. 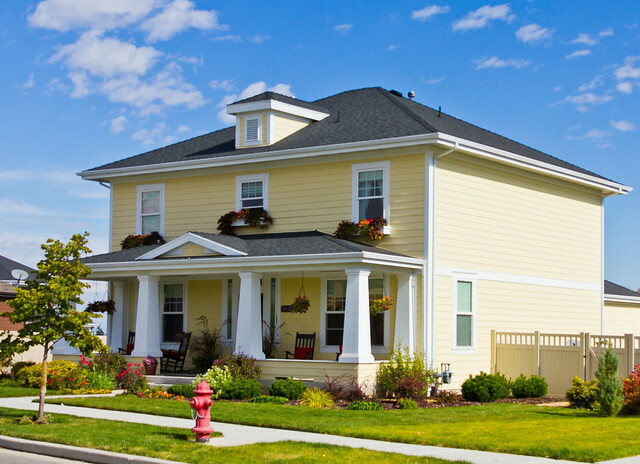 Urban and rural areas: Foursquare houses can be found throughout both cities and rural areas in the United States. They were a good urban home because they were fairly narrow and fit city lots. 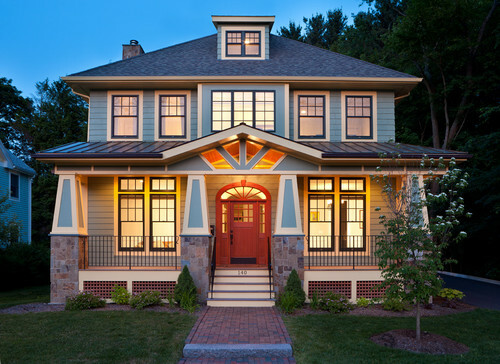 However, the plain design, efficient layout and large porch made it appealing to rural homeowners as well. 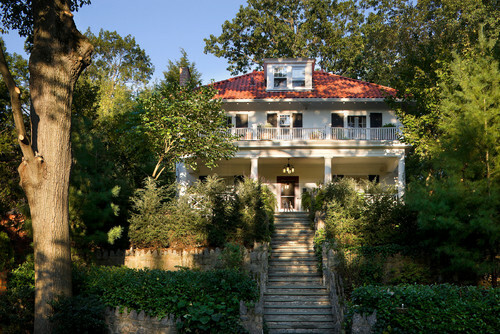 See the interior of 2 gorgeous American Foursquare homes here. 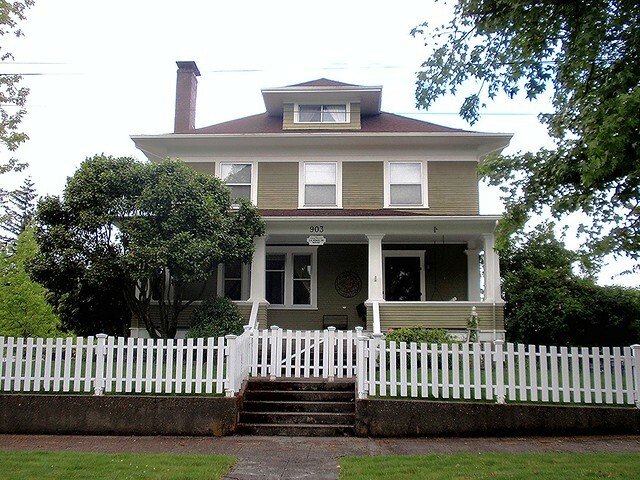 Foursquare with full-width porch and some ornamentation with columns. 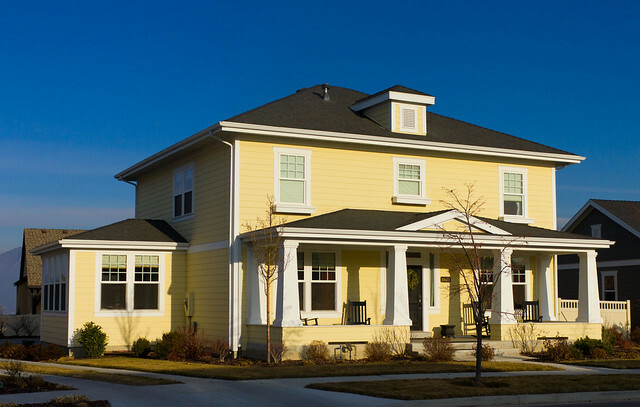 Classic 2.5 story home which is common with this type of house design. White foursquare home in rural setting. 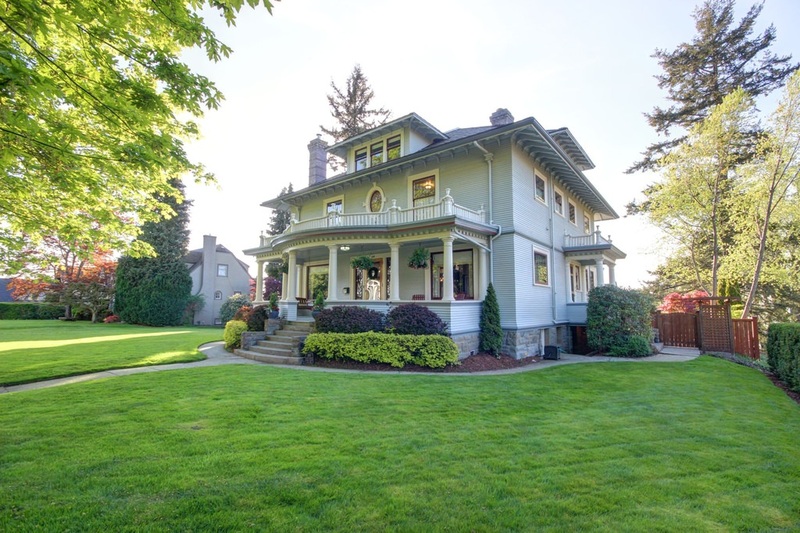 Large foursquare house in urban setting. 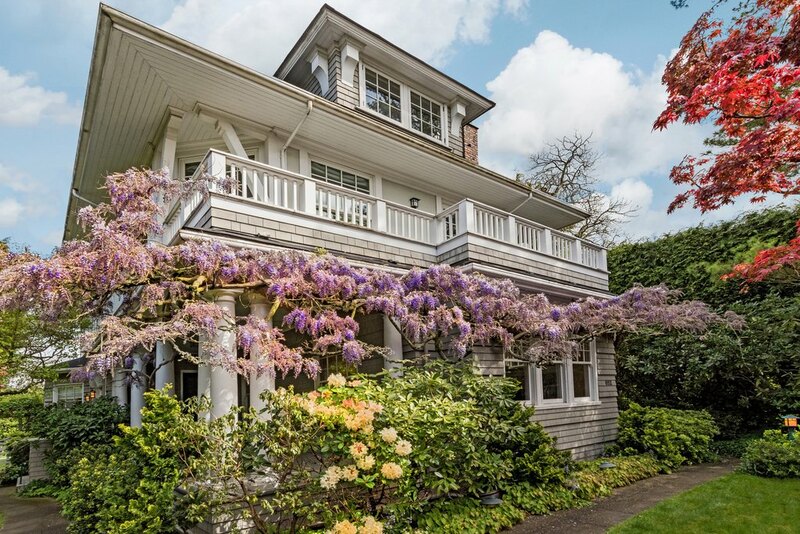 Gorgeous large foursquare (bordering on mansion) with above-average ornamentation on the front facade. See the above home’s interior here (it’s spectacular). 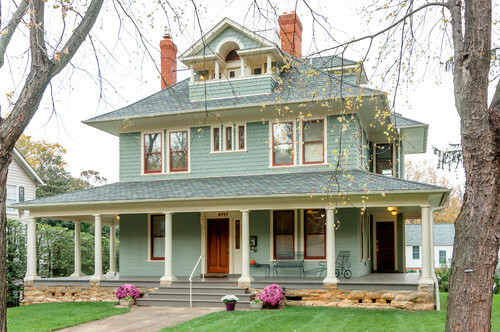 Beautifully restored American foursquare home with partial porch. Not terribly large but definitely beautiful. 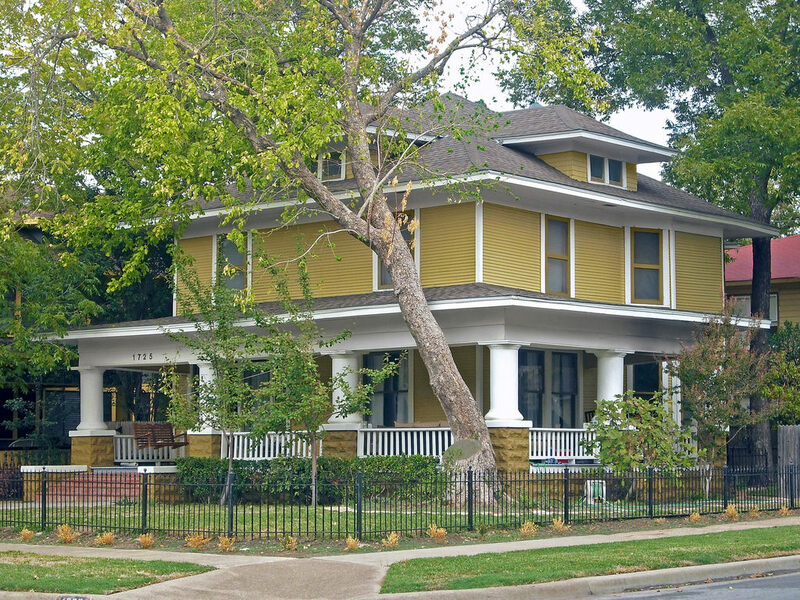 Very plain white American foursquare home with porch that wraps around the side. Large rural setting foursquare home with partial porch. 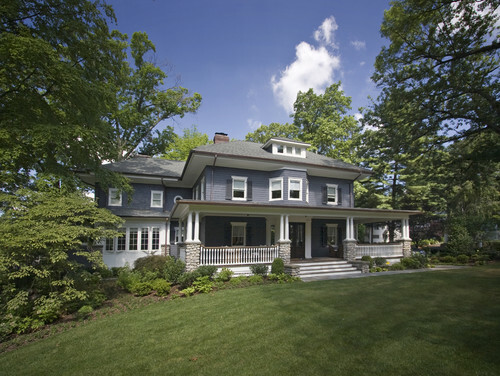 American foursquare home with shingle style exterior. See the above home’s interior here (it’s a contemporary interior design). Foursquare home with side of home facing the street. Porch extends full-width along 2 sides. 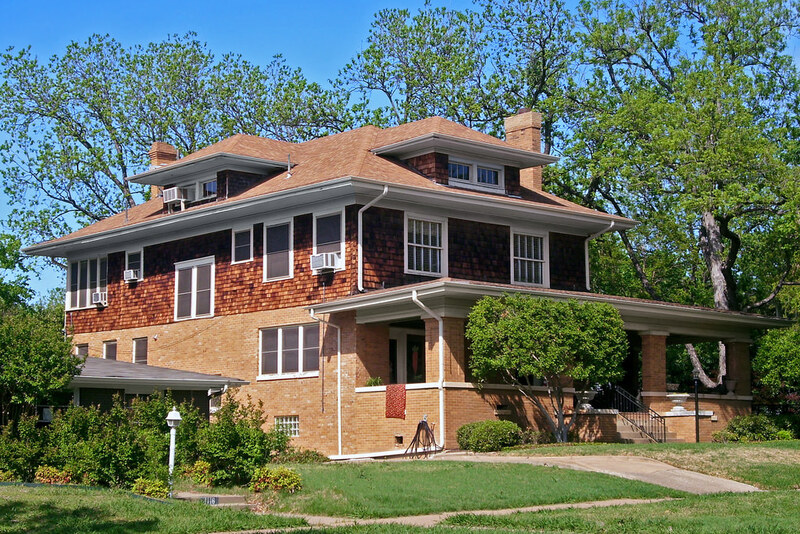 Brown shingle style foursquare with partial porch. This has a cabin look and feel to it. 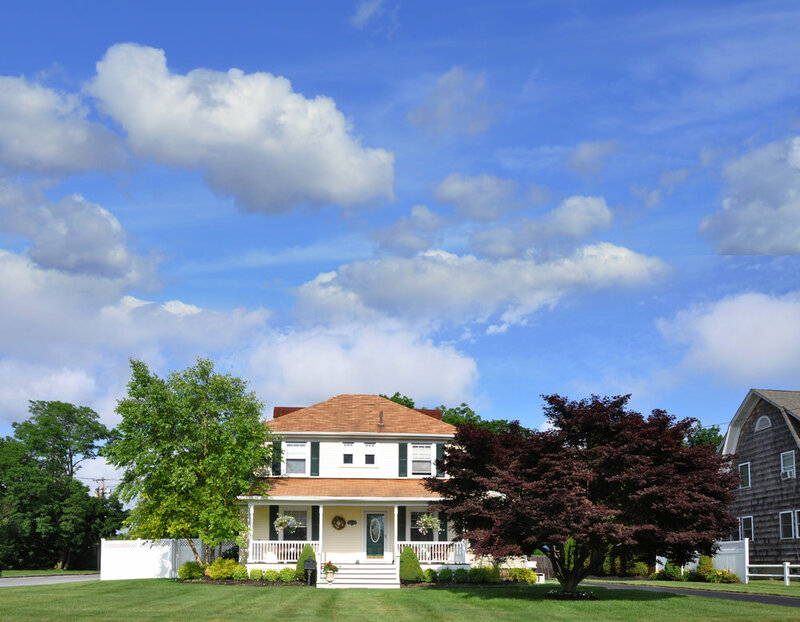 Large foursquare home with brick and wood shingle exterior. 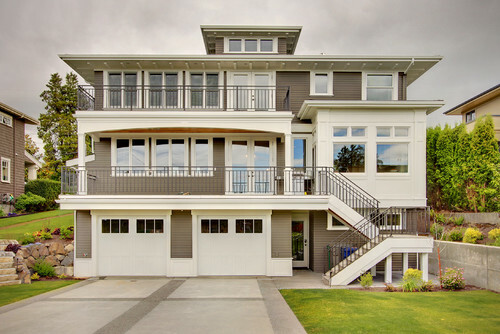 The porch is particularly large on this home. 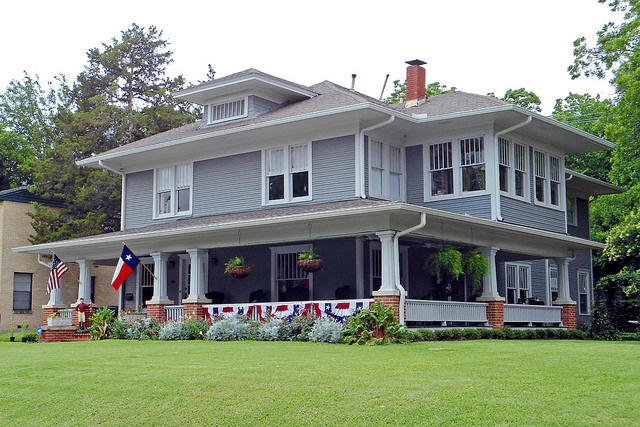 Large gray American foursquare home with porch extending along 2 sides of the home. 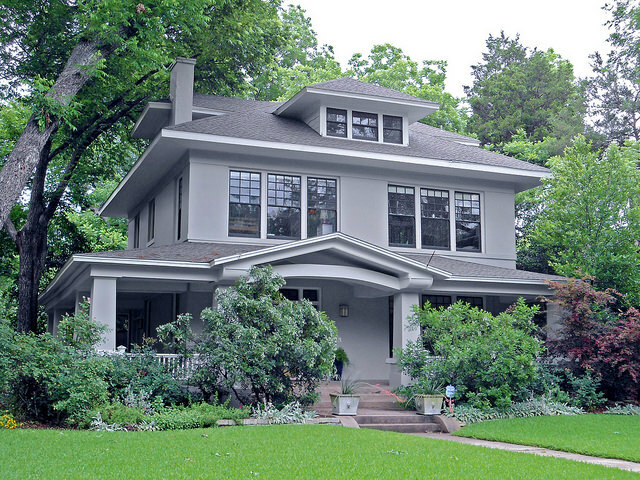 Massive gray and white foursquare home on large lot with huge porch. 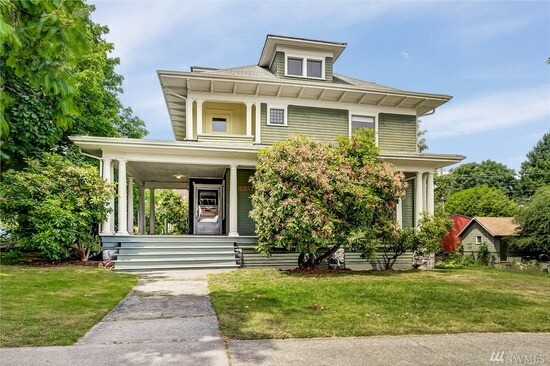 Foursquare with interesting porch that extends to the side of the home creating a large covered patio area. 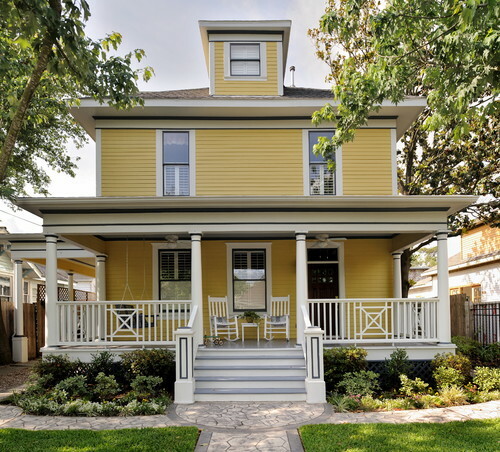 Mustard yellow and white foursquare with wood exterior. 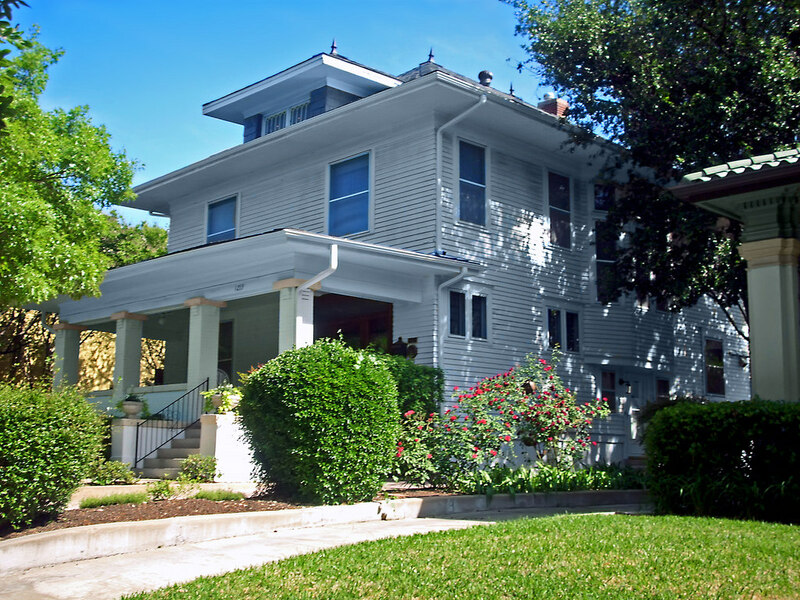 Classic plain style American foursquare home with small windows (most have larger windows). 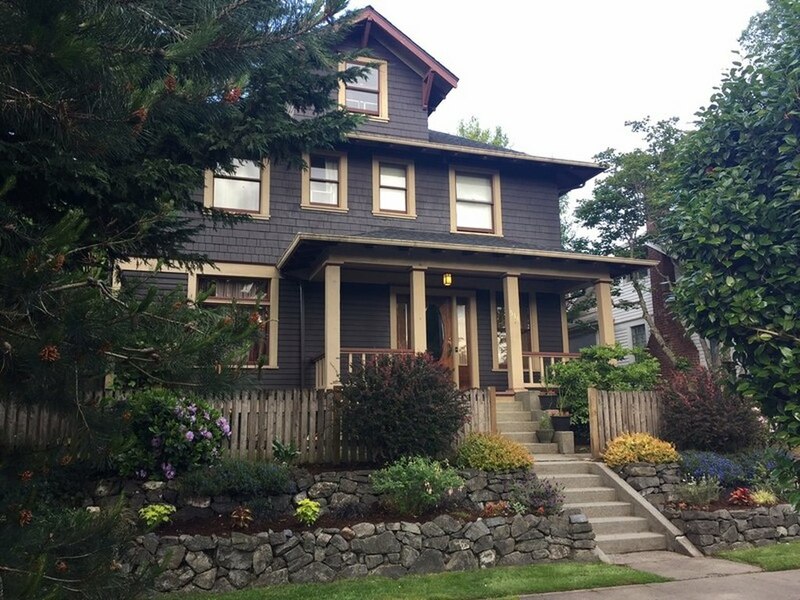 Beautiful grey foursquare home on large lot. 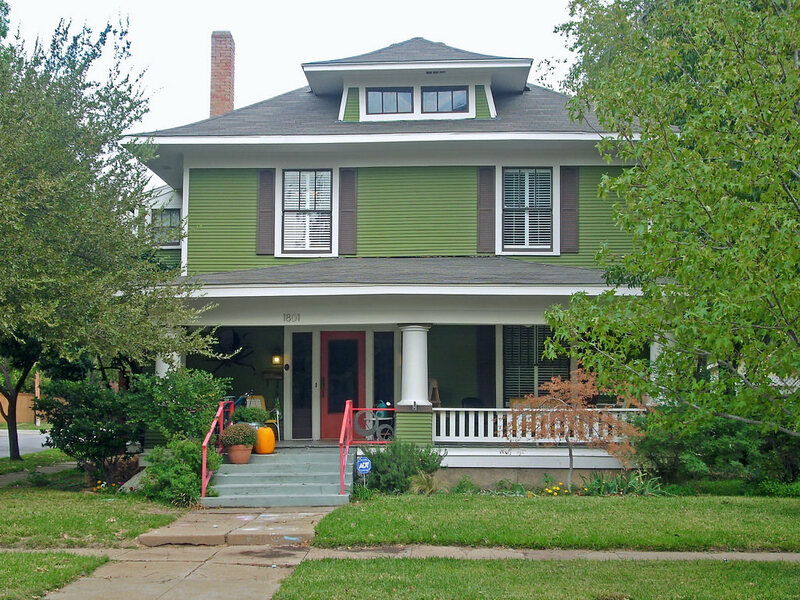 This one is not as elevated as most; the porch is almost street-level. 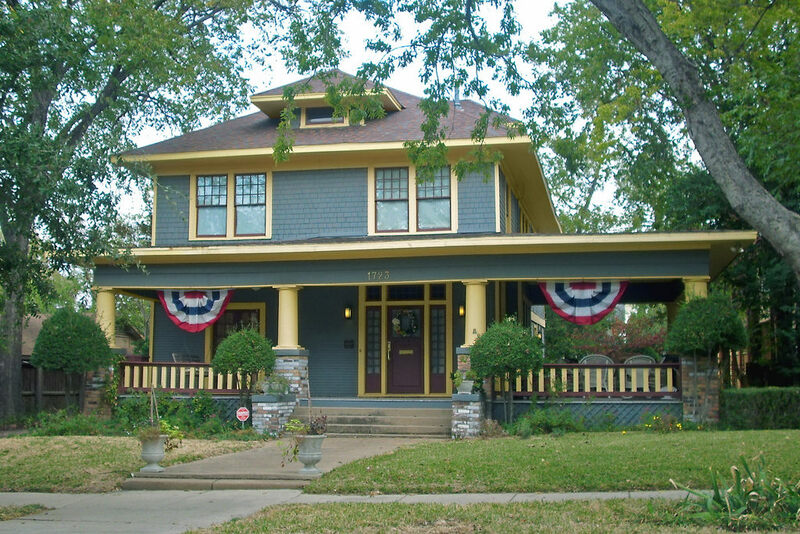 Original American foursquare home with wrap-around porch and smaller than usual windows. 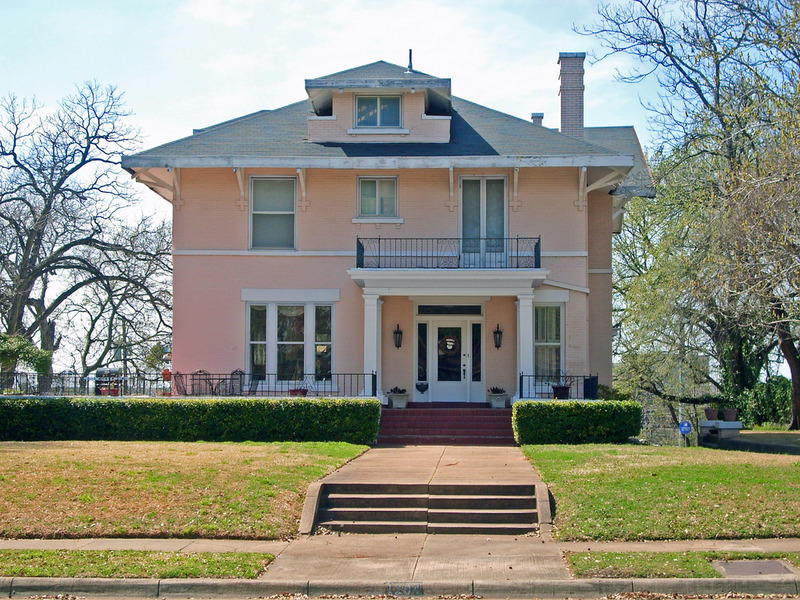 Large pink foursquare home with small porch.